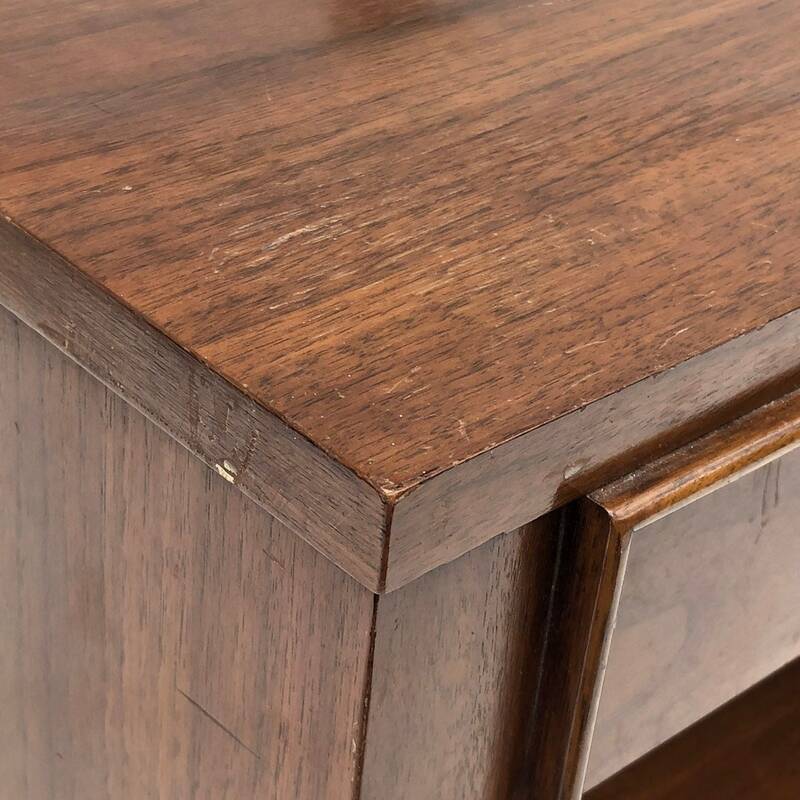 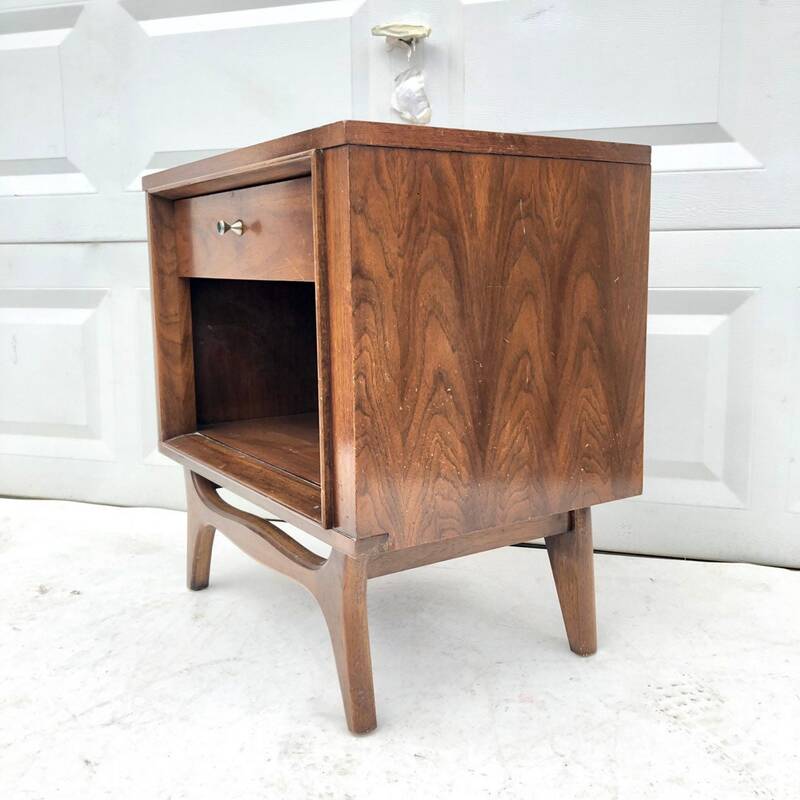 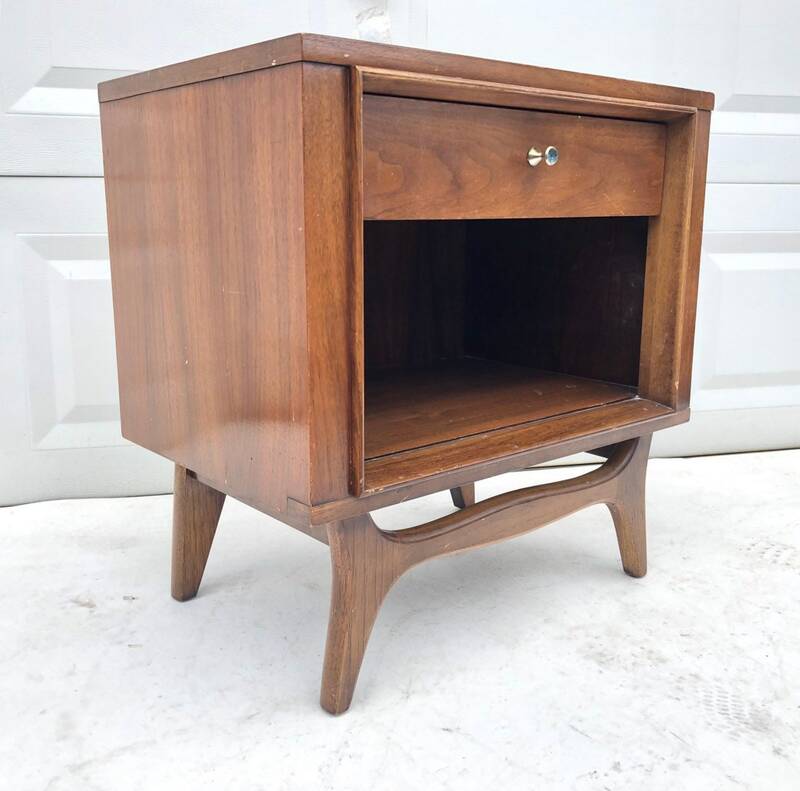 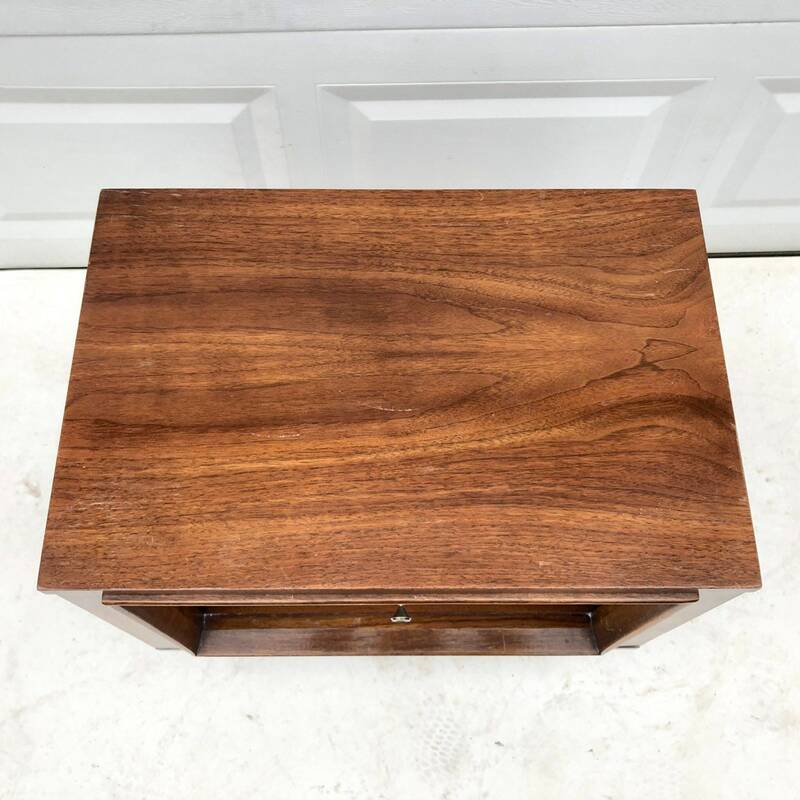 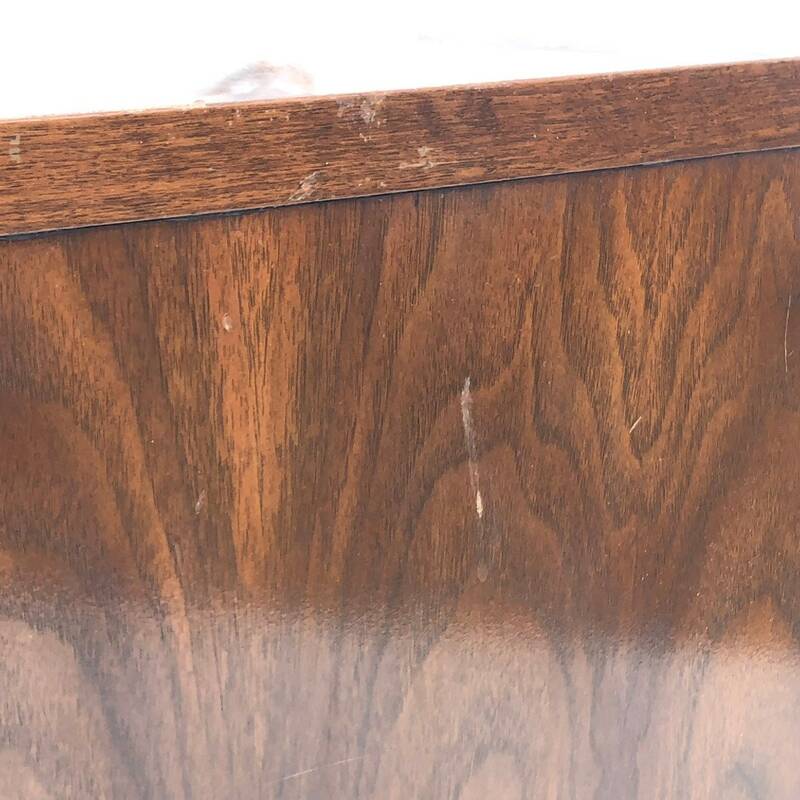 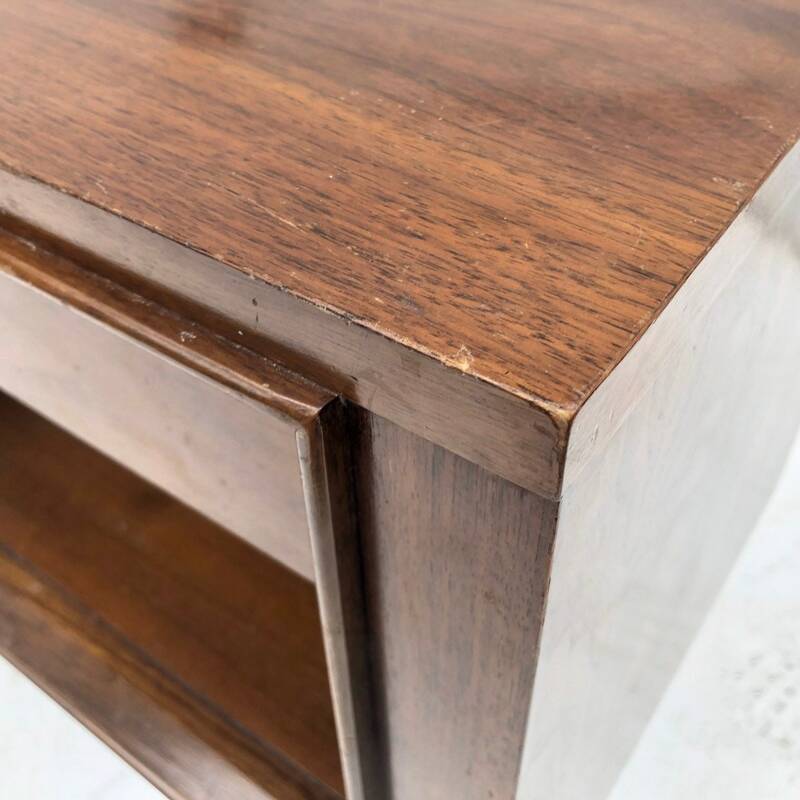 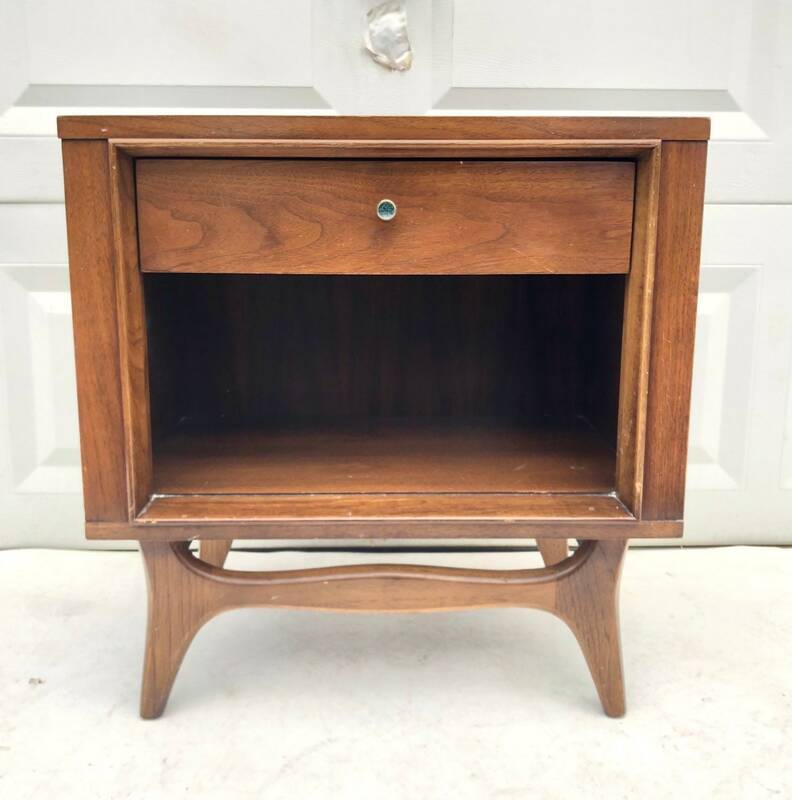 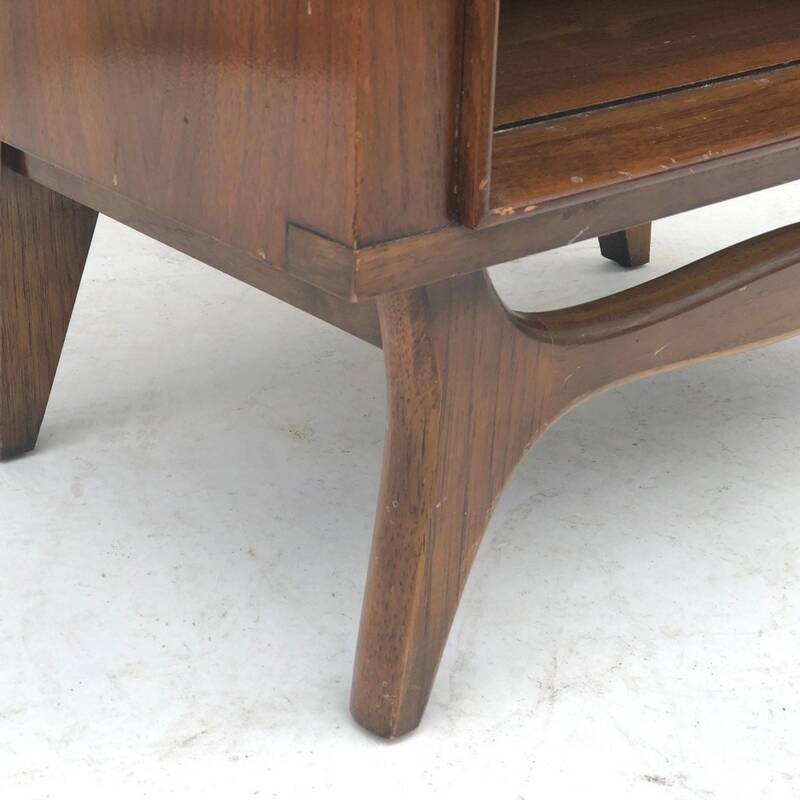 This stylish mid-century modern nightstand features vintage walnut finish, worn brass finish handle, tapered, legs, and spacious storage options. 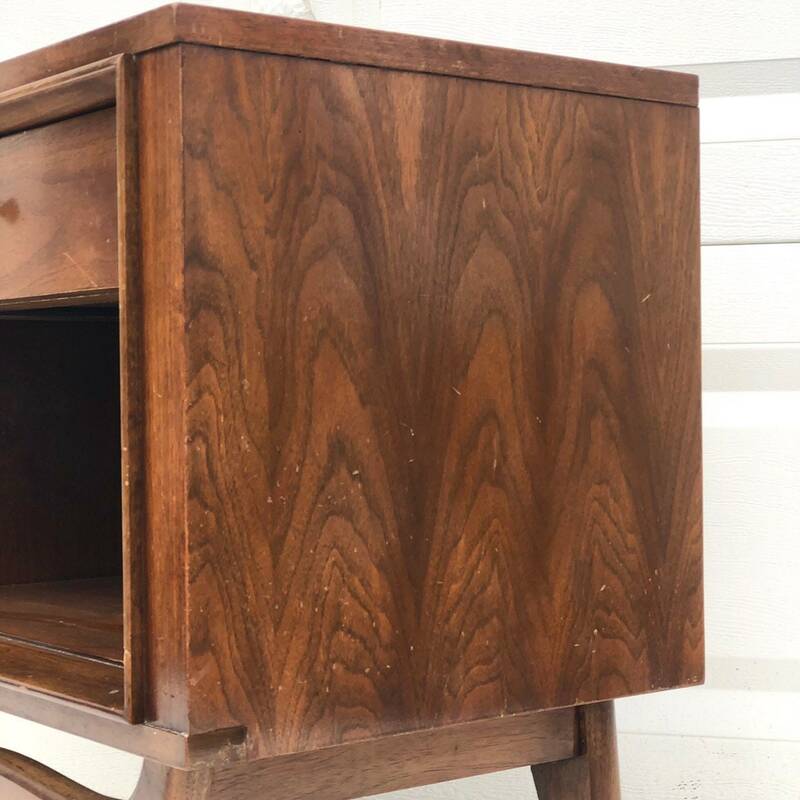 Top drawer storage allows for easy bedside storage, while the open shelf below adds versatility for storage or display in any setting. 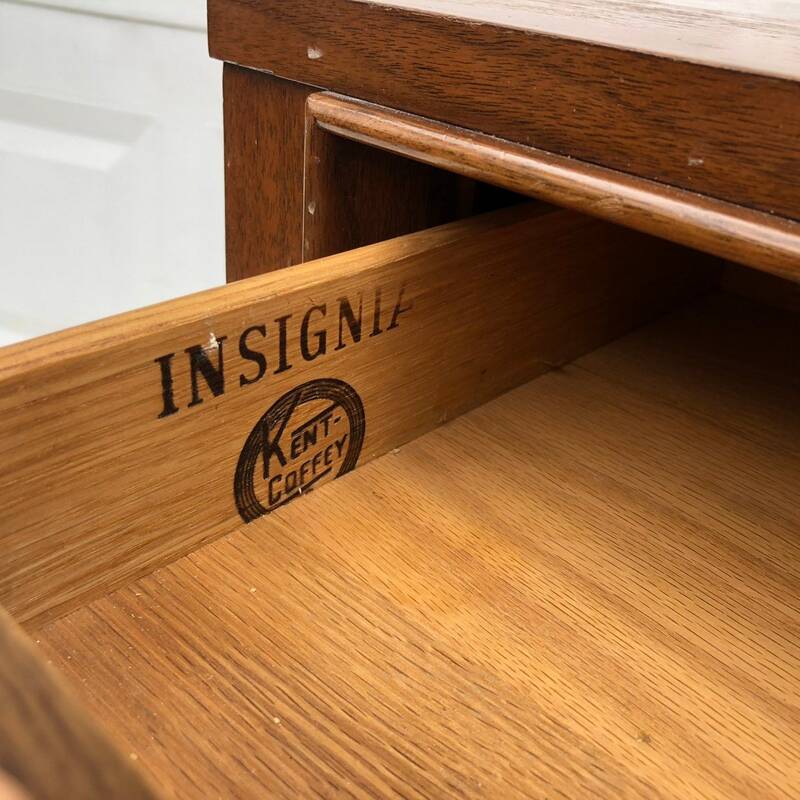 Manufactured by Kent Coffey, Insignia line.